Peter started his career at Kilmarnock and joined United as a free agent after being released by Leicester City. A Scotland Under-21 and 'B' international, he also had one full cap. 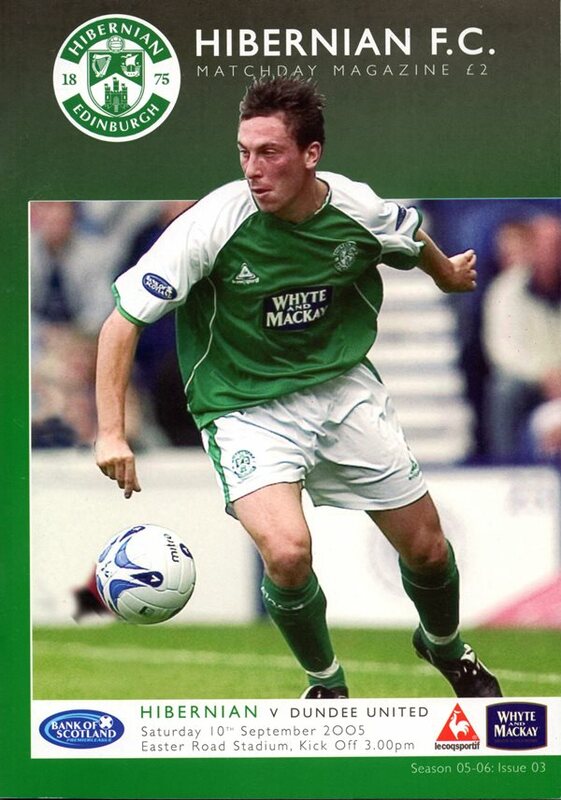 He remained at Tannadice until December 2005 and then moved to the USA to join New York/New Jersey Metrostars (renamed Red Bull New York soon after). Hibs’ Ivan Sproule completed a fairy-tale fortnight by scoring the winner in an entertaining 90 minutes of football at Easter Road. United took an early lead and played some good football in the first forty-five minutes, but a strong second half showing by the home team was enough to earn them the points. Gordon Chisholm handed a recall to David McCracken in the hope to tighten up the United defence with Stuart Duff and Garry Kenneth both listed as substitutes. There was a welcome return to the bench for club captain Derek McInnes. Barry Robson also started with new man Peter Canero making his home debut. Livi player boss Paul Lambert was not fit enough to make the visitors’ squad. United started well and looked assured in possession although it was obvious that Falkirk were going to be a dangerous proposition on the break. United threatened the Falkirk goal early and Canero played in David Fernandez on the right. The Spaniard’s cross was volleyed goalwards by Brebner and when the ball came back off the post with the keeper beaten, Jim McIntyre was off balance and shot wide. Jim claimed in vain for a corner but the ref just shook his head. It was stated leading up to the game that changes were a very real possibility and boss Gordon Chisholm carried out the threat as Stuart Duff, Lee Miller and David Fernandez were all left out from the side that lost at Livingston. In their places came Peter Canero, Grant Brebner and Jim McIntyre as United lined up 4-4-2. For Dunfermline there was no place for ex Tangerine Jamie McCunnie as he was one of three players axed from the Pars’ last match at Pitoddrie. Scott Wilson and Scott Thomson returned to bolster the defence whilst Mark Burchill was started up front as the visitors also lined up 4-4-2.